Arthur A. Levine Books, 9780439576864, 40pp. From the bestselling author of THE BEE SEASON, a memorable first book for children. When the old woman began to fish at night under the watching moon, the fishermen shook their heads - she'd never catch anything that way. But the old fisherwoman was wilier than they knew. The waves had risen to take bites out of all the fishing shacks, and what she was hoping to catch was the person who controlled the tides - the man in the moon. 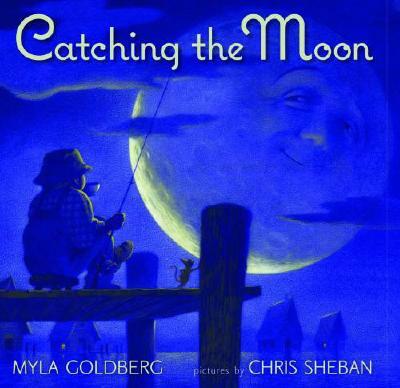 A book that explores the unlikely friendship between a salty old woman and the sweetest man in the night sky, CATCHING THE MOON shows the unexpected pleasures to be found when people come together.